Home / Shop / Books / Social Sciences / Education / Higher Education / Declaring Financial Exigency in Higher Education: How Do You Recover? States have long provided substantial funding for public higher education, but changes in recent years have resulted in a decrease in their contributions. In many cases, states have justified this decrease with equalizing funding across institutions; this notion of being more equal is “practiced” more than at any other time in at least the previous two decades (Mortenson, 2012). More and more public colleges and universities are finding themselves with less state appropriations despite the steadily growing student demand for higher education since the mid-1970s (Mortenson, 2012). Financial exigency is an unforeseen fiscal situation, the degree to which compels a public college or university with reduced or eliminated stated funding to reevaluate programs, services and organizational structure, in order to reposition the institution to continue its mission within the changing economic environment. According to Land and Thompson (2018), a financial crisis is not unique to institutions of higher education. Any organization can experience a financial crisis; if there are not enough liquid funds to supply the demand of products and services, a financial crisis will occur. However, financial exigency is unique to higher education. Before declaring financial exigency, an institution must understand the process as well as the implications for this classification with state and federal agencies, accrediting bodies, students, faculty, staff, alumni and the surrounding communities. Therefore, if an institution has declared financial exigency there are serious implications for its recovery and survival. As more and more states significantly reduce and in some cases eliminate funding to public higher education, many state public institutions will have to do the unthinkable and declare financial exigency. 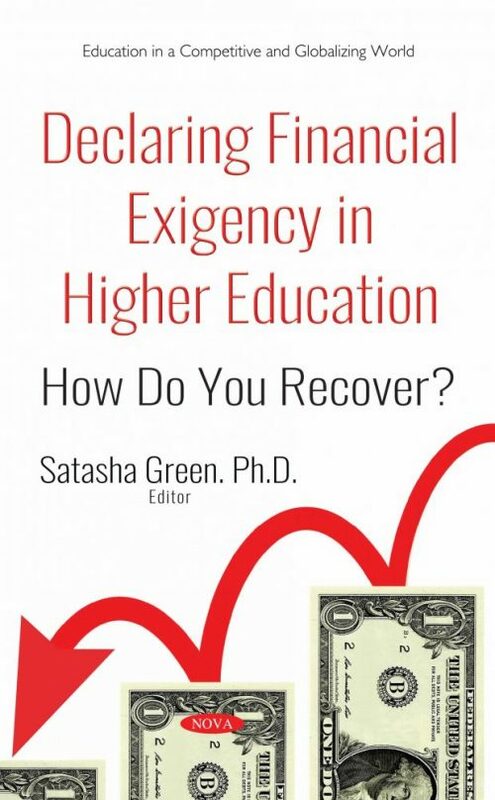 To help colleges and universities that are contemplating declaring financial exigency, Declaring Financial Exigency In Higher Education: How Do You Recover? describes the experiences and strategies used by institutions that have declared and recovered from financial challenges. This book is in no way the answer to preventing or recovering from financial exigency; it is intended to share the stories, voices, experiences, and strategies used by others who have faced financial challenges. More specifically, this book provides background information on financial exigency, legal and compliance obligations during exigency, and lessons learned and recommendations for practice regarding preparing for, declaring and recovering from financial exigency. The authors of this book address several important topics critical to successful strategic planning and recovery from financial exigency.